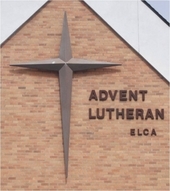 Advent Lutheran Church offers Christian education opportunities for adults and youth. Youth nights - The first Wednesday of the month at 6:30 p.m.
Feed My Starving Children once a month from 8:00 p.m. to 9:30 p.m. Open to all ages. Sunday morning forums, 10:30-11:30 a.m. TEXT Study on Thursday mornings at 10:00 a.m.